Israeli authorities announced, on Tuesday, March 19, that a security closure will be imposed on the occupied West Bank and besieged Gaza Strip for a period of four days bracketing the Jewish festival of Purim (Thursday and Friday of this week). 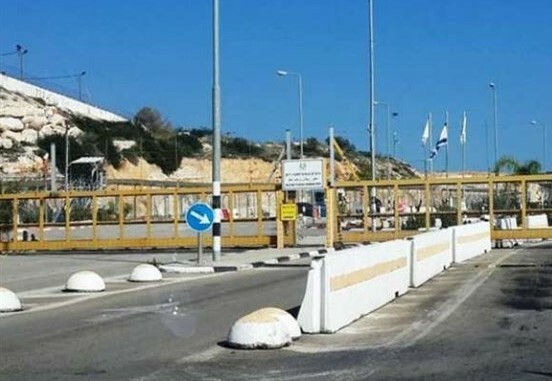 The four-day closure, to be imposed only on Palestinians from the territories, but not on Israelis traveling to an from these areas, started at midnight local time between Tuesday and Wednesday and will end at midnight between Saturday and Sunday). Only humanitarian and medical cases among Palestinians will be granted permission to cross through the borders into Israel, and only after obtaining entry approval from the Israeli side. Severe restrictions on movement for Palestinians are typically implemented by Israeli authorities during Jewish holidays for alleged security purposes, accompanied by increased tensions around the Al-Aqsa Mosque compound in occupied East Jerusalem. Debilitating poverty and lack of employment drive many workers in the occupied West Bank to enter Israel in search of work. Israel’s imposition of closures on the Palestinian territory has severely affected the livelihoods of hundreds of thousands of Palestinians who depend on entering Israel, or its illegal settlements, for employment opportunities. Meanwhile, the majority of the more than 2 million Palestinians in the Gaza Strip are sealed inside the coastal enclave due to a decade long military blockade imposed by Israel and upheld by Egypt on the southern border. Significantly, it was on the festival of Purim 25 years ago (its date being according to the Hebrew calendar) that the American-Israeli racist settler Baruch Goldstein opened fire on worshipers in the Ibrahimi Mosque (Cave of the Patriarchs) in Hebron, killing 29 Palestinian Moslem worshipers and wounding over 100 others.